Seeing a psychologist is a necessary step for many people at some point in their lives. However, many people don't know very much about what a psychologist does and what kind of training goes into making one. The articles below may provide some insights into this profession. Here are the differences between a psychologist and a therapist. Although dealing with grief can be challenging, learn techniques that can help. Discover the difference between a psychiatrist and a therapist. 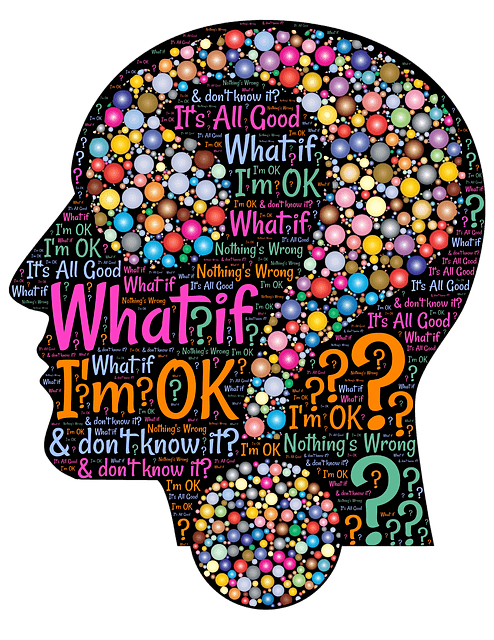 What Is CBT Psychology, And What Are Its Benefits? Practicing psychologists have graduate-level education and clinical skills that help individuals cope with their lives. Psychologists can diagnose and treat mental illnesses and mental disorders. They’ve gone to graduate school for many years and have completed extensive training. After thousands of hours of supervised training, they obtain a license to practice psychotherapy and conduct assessments and evaluations. Psychologists use a variety of different techniques to treat the individuals that they see. Depending on what their client's goals and concerns are as well as the mental state that a client is in, a psychologist can determine the best way to treat them is and how to execute that treatment. Psychologists have graduate-level educations and doctoral levels degrees, such as a Ph.D., PsyD, or EdD. They have one of the highest levels of knowledge out of any role in the mental health profession. They spend over seven years in academia receiving their degrees, and according to the American Psychological Association (APA), over 105,000 licensed psychologists are working in the United States alone who are treating people and providing mental health services. On average a psychologist earns around $85,000 a year in the United States. One of the things that psychologists are well-versed at is administering assessments and evaluations to determine a client’s individual needs. Psychologists have the training needed to deliver these assessments to individuals so that they can diagnose a particular mental health condition or mental illness. When a psychologist conducts an assessment or evaluation, they’re assessing the way a person thinks or behaves so that they can treat them effectively. They want to develop a solid treatment plan for each client that takes into account their strengths and weaknesses, cognitive function, and characteristics of their personality. Assessments can reveal a lot about an individual and contribute to their treatment plan. When you know what a client’s problems are, you can develop a comprehensive treatment approach to move toward wellness. Assessments and evaluations are tools that psychologists use so that they can assist their clients in the best way possible. How psychologists help people A clinical psychologist can treat people using various forms of therapy. Clients can address their mental health concerns with their psychologist. Common types of psychotherapy include CBT or Cognitive Behavioral Therapy, person-centered therapy or humanistic therapy, psychoanalysis, psychodynamic therapy, Gestalt therapy, EMDR therapy, or DBT (dialectical behavior therapy). There are other forms of treatment that are more obscure such as hypnotherapy, which can also be used in treating a variety of mental health issues. Some psychologists run therapy groups, such as a DBT group. In the case of some clients, therapy is combined with medication for the best outcome. For example, if someone is suffering from panic attacks as a result of PTSD or another mental health diagnosis, they might see a psychiatrist in addition to a psychologist for medication management. It’s a long road to becoming a psychologist. If a person is interested in pursuing this line of career, they have to continue many years of higher education. In becoming a psychologist, you need to have a doctoral degree, and you need to have 4-6 years studying full time after the completion of your undergraduate college degree. Psychologists will have completed courses such as abnormal psychology and statistics as well as courses focused on human behavior and psychological assessment and theory. They’ll learn how to practice therapy on both an individual level and a group level. In graduate school, psychology students conduct research and teach. They participate in a year-long internship where they are closely supervised to obtain their license and are required to pass a national exam to get their license in the state where they will work. In North America, there are some states where psychologists can prescribe medication, but it depends on what advanced licensure courses they take. They would need a Master’s degree in psychopharmacology as well. Clinical psychologists can work in a private practice office, a low-cost clinic or community health center, a clinic, or they might work in a location with a group of healthcare providers. You can also find psychologists in k-12 schools, universities, and community or vocational colleges, as well as prisons or hospital environments. You can also find psychologists working at retirement centers, rehabilitation centers, and nursing homes. It all depends on what their specialty is in the population that they’re working treating. A clinical psychologist is someone who has extensive training in administering assessments, diagnosing mental health conditions, and treating mental illnesses or disorders. They have graduate-level degrees and in gaining their license to practice, they’ve completed thousands of hours of training while under the supervision of a licensed supervisor. They are well-versed in understanding mental health conditions, and they’ve researched their expertise in their field. They can work in private practices, clinics, or residential treatment centers. One of the most common types of psychologists is school psychologists. School psychologists help children deal with complex emotional, academic and social issues in a school environment. During the day, a school psychologist might see a child for acting out in the classroom or help a student by advising them about college plans. School psychologists are an integral part of the academic world. They speak with teachers, parents and other staff members who help children get the most out of their education. They consider the school and home environments when working with a student who is having any emotional or social concerns at school. A school psychologist can provide intervention when there is a mental health concern with a student. They can give outside referrals for the student to get services such as individual therapy. Some school psychologists conduct group therapy in an academic setting. Biopsychologists are also called “biological psychologists” or “physiological psychologists.” A biopsychologist can perform research on the human brain, and they understand human behavior. They examine behavior based on biology and how people act, think, and feel. This kind of psychologist might try to investigate injuries and diseases as well. Psychology is the study of human behavior. Cognitive psychologists specialize in observing how people behave depending on what’s happening to them. They look into human behavior, how people think, decision-making processes, and the way that somebody solves a problem. They study problem-solving in human beings and try and understand how people recognize and internalize information to solve problems. Community psychologists are psychologists that research community health issues. There could be an epidemic that’s causing people to act in a particular way. You can find them working in a university setting and community organizations. Community psychologists are policy advisors, and they are also skilled researchers. These individuals are valued members of the community and help people understand how to combat a variety of issues plaguing the population. Developmental psychologists have an outstanding job. They help us understand how people grow from infancy into adulthood. These mental health professionals research human development and how we develop from a child into an adult. They learn about language acquisition and how children pick up on social and verbal cues. They investigate issues such as aging, cognitive changes during the human lifespan, when and how language skills are acquired, and what happens when language processes decline. A developmental psychologist is invested in understanding issues that arrive throughout our lives. Educational psychologists look at our social, cognitive, and emotional factors, and identify issues in these areas. This kind of psychologist examines potential problems with how a child learns and their academic progress. They can assist a child who is struggling with academic concerns by doing the appropriate research and intervention. You may have heard of forensic psychologists in relation with crimes. They look at the connection between psychology and the law. A forensic psychologist might be a consultant on a criminal case, or they might assess if somebody is at risk of offending. Using their knowledge and training, they try to catch criminals in the act. They’re useful in court cases and have worked to understand the mind of an individual who commits a crime. Social psychologist study groups of people and their behaviors. Social psychology aims in bridging the gap between sociology and psychology. These psychologists examine relationships between people. Social psychologists examine different factors that might influence groups of individuals such as prejudice, interpersonal relationships, aggression, and persuasion. A social psychologist uses the scientific method. Military psychologists are those that practice psychology in a military environment such as an army or navy base. They’re needed in these areas since soldiers can experience a variety of mental health issues during combat, and may come to the forces with pre-existing conditions. A military psychologist could treat soldiers who have a variety of mental health conditions. They dedicate their careers to researching various aspects of the military lifestyle so they can serve their community best. One of the things that military psychologists help with is supporting soldiers transition back into civilian life. Psychologists have incredibly demanding jobs. However, they are rewarding occupations. A psychologist studies the cognitive and emotional processes of people. They conduct their research through therapy and observing human behavior in real time. After reviewing how a person behaves, they can make an accurate diagnosis and develop a treatment plan for that person. They take note of how a client reacts in their environment and aims to understand the relationships with the important people in their lives. A psychologist makes an effort to understand their client's emotions and asks follow-up questions if they’re unclear about something their clients says or does. During a day on the job, a psychologist may conduct therapy sessions, assessments or evaluations, and interview clients. They take note of the client’s cognitive functioning, their behavior, and identify patterns in a client’s behavioral patterns that need to change. They diagnose and treat a mental disorder, set up and enforce treatment plans, and make outside referrals to specialists for their clients. Some psychologists focus primarily on research. These individuals spend their days conducting research, writing papers and articles that will be published in respected journals. Psychologists (no matter what type) make it a point to continue their education long after graduate school, and value learning. A psychologist can evaluate a patient’s behavior using talk therapy, assessments or evaluations. They may conduct aptitude or personality assessments to determine what’s happening with the client. They don’t always get the answers they need, and if that’s the case, they will refer a client to an outside specialist, as mentioned above. Psychologists study typical and atypical mental states of human beings. Those are cognitive, emotional, and social processes. In becoming a psychologist, you need to go to graduate school and get a degree in psychology. Psychologists can take a multitude of paths with their degree, such as opening a private practice, conducting research, and diagnosing and treating psychological conditions. Unlike psychiatrists, psychologists cannot prescribe medication, but they can determine what a person’s mental illness is, and guide them toward a psychiatrist who can prescribe medication. Psychologists are diagnosticians, but they are so much more. They help people examine their problems and cope with extremely challenging life circumstances. People who go into the field of clinical psychology genuinely care about others and are fascinated with human behavior. Some psychologists focus on researching behaviors, and others who work directly with people in their private practices. Wherever a psychologist is working, they have the same goal, which is helping understand human actions and guide people toward a healthy life. Psychologists can specialize in different areas of psychology, including but not limited to the options above. Clinical psychologists can diagnose mental illnesses, whereas psychiatrists can both diagnose mental illnesses and prescribe medication to treat a diagnosis. Psychiatrists have MD’s, as opposed to psychologists who have PsyD or Ph.D. Psychologists focus on the behavior of an individual, while a psychiatrist will combine the person’s actions with their biochemistry to come up with a treatment plan. You won’t receive medicine from a psychologist, but you will get practical guidance regarding your life problems. They’re there to help you navigate difficult emotions and learn coping mechanisms so you can soothe your pain without resorting to self-destructive behaviors. A psychologist works with their patients to understand their behavior so that they can develop an accurate treatment plan. They care about helping people learn what’s troubling them and develop a plan to solve their issues. There’s a fundamental difference between a clinical psychologist and a counselor. These two people are not the same. A psychologist can diagnose and treat mental health disorders or mental illnesses, whereas a counselor can address mental health conditions in therapy but can’t diagnose them. Both can provide adequate treatment, but if you want to get an accurate diagnosis, a counselor can’t do that; a psychologist or psychiatrist can. It’s crucial to know what you’re looking for when seeking mental health treatment. If you’re interested in getting therapy, it’s essential to research the degree that a person has. A clinical psychologist has been to graduate school and likely had a lot of experience in research. They've seen typical and atypical human behavior and can understand abnormal psychology and mental illness well. Online therapy is an excellent form of treatment where a person can get treatment from a licensed mental health professional who also could be a clinical psychologist. It’s worth investigating working with an online provider if you’re curious about bettering your mental health. You don’t have to suffer alone. There are mental health professionals who care about your wellbeing. If you’re struggling with a mental health issue or going through a life transition, consider talking to an online therapist. Search the extensive network of counselors and therapists at BetterHelp and find one that works for you and your personal needs. If you're still wondering if therapy is right for you, please contact us at contact@betterhelp.com or check us out online at Facebook, Twitter, Instagram, Google+, LinkedIn, Pinterest & Tumblr.